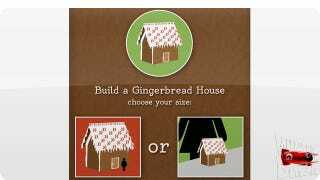 How Much Gingerbread Would You Need To Build Your Edible Dreamhouse? Had she access to this useful online calculator, the wicked witch in that Hansel and Gretel fairytale wouldn't have had to settle for just a tiny cottage in the woods. She could have built herself a sprawling McMansion with proper planning, complete with a dedicated bakery just for kids.